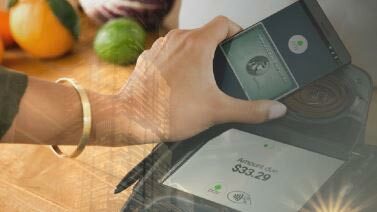 Mobile payments are becoming the new normal. After many years of debate, predictions and hype, many Android users even have more than one mobile payment option available to them. Google is rolling out Android Pay around the world, Samsung is matching it with Samsung Pay and a range of other services and solutions seem to be launched or expanded on an almost weekly basis. For banks, though, the competition, market dynamics and options for deployment are more complicated than ever. So, what choices to they need to make and which route, or routes, to market will work best for them? One thing that is certain, banks are facing a new kind of threat. Payments have ‘gone mobile’ meaning issuers risk losing control of their traditional customer relationships and even being consigned to a back-end processing role. By failing to take control and act now, banks also risk losing valuable data like usage, location, frequency and drop-out rates, which can be used to enhance and shape the development of existing and future services, and even open up new revenue streams. Many banks are already adopting a flexible strategy, combining the launch of their own ‘BankPay’ solution with support for the original equipment manufacturer payment (‘OEM Pay’) platforms. These banks can make the most of the co-branding opportunities and market recognition that the OEM solutions offer, but also maintain control over their own mobile payment services. Having a diverse portfolio of solutions, where at least one platform is directly controlled by the bank itself, is fast becoming the default strategy for banks in this rapidly changing market. Banks must be proactive if they are to successfully execute this strategy. Mobile payments security is another key pain point for banks. They must decide how to deploy the tokenization technology that enhances the security of the sensitive data used to make transactions. Some banks choose to outsource this activity to the payments schemes, whereas others are hosting with a trusted third party to maintain more control of the implementation. Many banks, however, have made the decision to take full control of their own tokenization activity by becoming their own token service provider (TSP). When it comes to launching mobile payments, there’s no silver bullet. With so many options, strategic decisions and business model considerations, every deployment is different. For more insight into the approaches banks can take and the options available to them to bring mobile payments to their Android-using customers, download our free eBook: Launching Mobile Pay for Android.